Join this 10 day Italian adventure as you explore Tuscany, Assisi and Rome starting on November 1,2019. At the end of the tour, you will have the option of extending your tour as well. Prices starts at $3,798* from New York City. 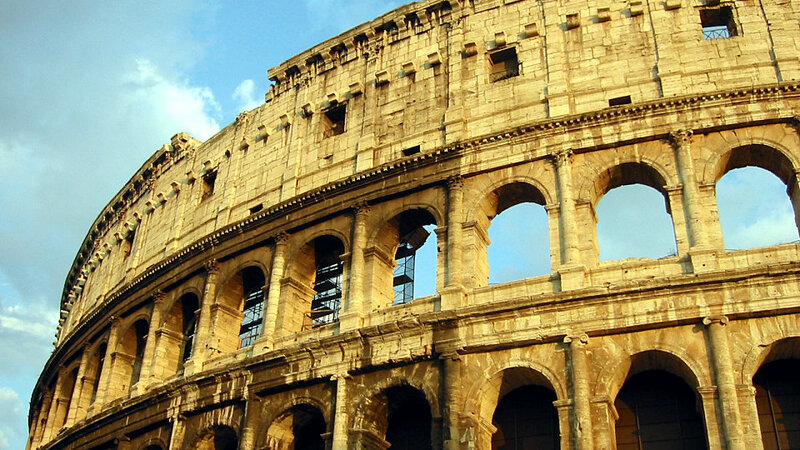 On arrival at Rome airport you will be met and transferred north by coach through the stunning countryside. Pope Nicholas IV laid the cornerstone for the Cathedral of Orvieto in 1290, dedicating it to the Assumption of the Virgin. Orvieto served as a Papal residence through the Middle Ages. Here the Feast of Corpus Christi is celebrated, marching from the Duomo. Continue on to your Tuscan Village hotel for dinner and overnight. 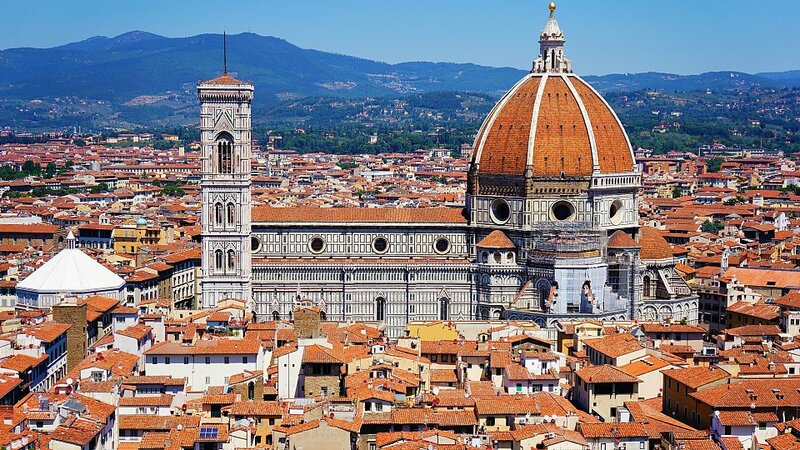 The elegant city of Florence is nestled between a line of hills and the banks of the Arno River. Among the wealth of masterpieces to be found in Florence, youll see the Piazza della Signoria with its Neptune Fountain and Vecchio Palace, the Santa Maria del Fiore Cathedral which houses Michelangelos unfinished Pietá, the Baptistry which features Ghibertis famous Gates of Paradise and the Academy where you can view some of Michelangelos finished and unfinished work, including the awe?inspiring David. Well take in the Uffizi Museum. Here works from Da Vinci, Botticelli, Giotto, Titian, Michelangelo and Raphael are on display. Return to your Tuscan Village hotel for dinner and overnight. Today is yours to wander and explore the town of Montecatini Terme, a Tuscan village known for its thermal spas and fashionable restaurants. This afternoon, travel to the Fattoria Il Poggio Winery. Enjoy a tour of the farm, and then dinner combined with a wine tasting. Return to your Tuscan Village hotel for dinner and overnight. This morning travel to Assisi. Walk its cobblestone streets and sense the tangible spirit of St. Francis preserved within the walls of this holy town. You will visit the lower city. 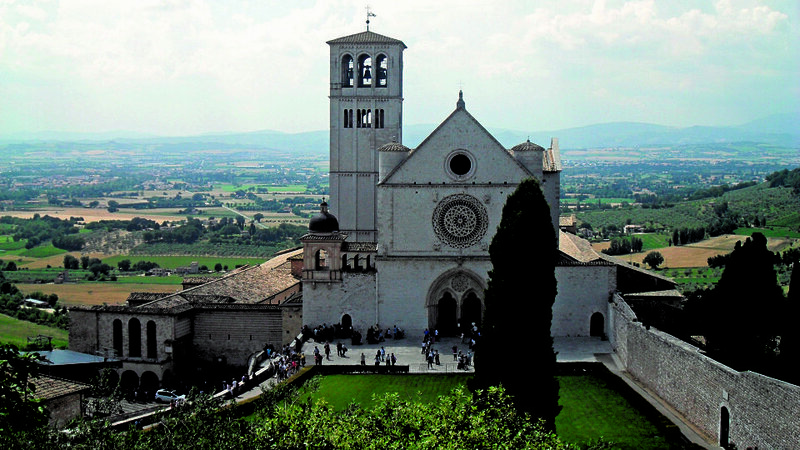 The Basilica of St. Mary of the Angels stands at the foot of the hill of Assisi over the Porziuncola Saint Francis Church given him by the Benedictine monks. The Church and Convent of St. Damiano is where in 1205, Saint Francis received his calling to Rebuild My Church. Saint Claire will later lead her Order of the Poor Ladies from here until her death in 1253. Check into your hotel for dinner and overnight. After breakfast youll walk to the Papal Basilica of St. Francis, the mother church of the Franciscan Order and burial place of St. Francis. This Basilica, which was begun in 1228, is built on the side of a hill and comprises an Upper and Lower church. These are decorated with numerous frescoes by late medieval painters including Giotto. Continue on your guided pilgrimage of the towns highlights featuring the Basilica of St. Clare, the famous crucifix from which Jesus spoke to St. Francis. Enjoy an afternoon at leisure in Assisi before returning to your hotel for dinner and overnight. After breakfast youll begin your journey to Rome. Youll stop in Greccio to visit the Sanctuary set within the rock. The hermitage is an extraordinary fusion of architecture and nature and is famous as Saint Francis of Assisi chose it for the backdrop of the first recreation of the Bethlehem Nativity in Christianity on Christmas Eve, 1223. Upon your arrival to Rome, enjoy a visit to the Forum and the Colosseum, once the heart of ancient Rome and a place of martyrdom for the early saints. Check into your hotel for dinner and overnight. Enjoy a guided tour of the Vaticans Museums and Sistine Chapel. Built by connecting portions of the old Papal residence with newer structures, the museum houses a world renowned collection of art and antiquities. Michelangelo painted the ceiling of the Sistine Chapel between 1508 and 1512, and later painted The Last Judgment between 1535 and 1541 for Popes Clement VII and Paul III. The primary function of the chapel is the Papal Conclave, providing the place where the College of Cardinals of the church gathers to select a new Pope. Then walk through St. Peters Basilica. The present structure completed in 1590 was built over the Byzantine and Middle Ages structures that marked the tomb of Saint Peter. There are more than 100 tombs within the basilica, including most recently Saint John Paul II. Return to your hotel for dinner and overnight. Youll explore the romance of Rome as you stop at the famous Trevi Fountain. Legend says those who toss a coin into the fountain will one day return to Rome to toss another into the waters of Trevi. Finish the day at the Pantheon, built by Marcus Agrippa during the reign of Augustus (27 BC to 14 AD). Emperor Hadrian rebuilt it around 126 AD. The building was given to Pope Boniface IV who converted it into a church Saint Mary and the Martyrs (Santa Maria Rotunda). Enjoy the afternoon on your own to explore and shop in Rome. Return to your hotel for dinner and overnight. Day 10 Return to USA, or enjoy the Amalfi Coast Extension. Return to USA, or enjoy the Amalfi Coast Extension. Castel Gandolfo is the summer residence and retreat for the Pope. The present palace was built in the 17th century for Pope Urban VIII. The Barberini Gardens of the Palace are now open to visitors on morning tours. Enjoy the incredible beauty of this region as your bus travels to Sorrento. During your three night stay, you’ll have time to discover the colorful ambiance of this delightful town and enjoy the view of Mt. Vesuvius. Have your camera ready to capture one breathtaking view after another! Snap a photo of the famous village of Positano which has graced a thousand postcards. Visit the town of Amalfi, a glorious maritime republic from the 9th to 12th centuries. The town is also famous as the place where the compass was invented and boasts a splendid Duomo in Arab‐Norman style. Time permitting, you'll stop at the village of Vietri Sul Mar,home of Amalfi Coast ceramic factories which produce colorful tiles. Enjoy a boat ride to the lovely Isle of Capri which has enticed visitors for thousands of years. Today you will have the opportunity to savor its beauty and be captivated with the fabulous views and elegant shops. Visit the spectacular ruins in Pompeii which were covered by the eruption of Mt. Vesuvius in 79 A.D. The city remained buried and undiscovered for almost 1500 years. These excavations continue today and provide insight into life during the Roman Empire. Return to the Rome area for dinner and overnight. Return to the USA with wonderful memories to share!